Not every solo traveler is single. Not every solo traveler wants to be alone all the time. In fact most solo travelers agree that meeting other people while traveling is one of the main highlights of their travels. To travel alone is more expensive, unless you travel as a backpacker. But to travel as a backpacker takes more time to plan and organize and what to do if you don’t want to stay in dorms, don’t have much time and still want to see many places? 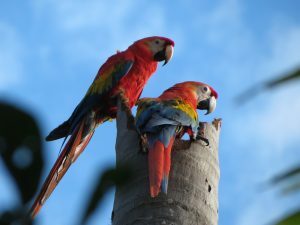 After receiving several requests from solo travelers who wanted to travel alone to Peru, but share their travel experiences in Peru with other travelers, we decided to organize this tour especially for solo travelers. Before you travel to Peru, we provide you with private Spanish lessons online and during the tour we will give you as much freedom as possible. 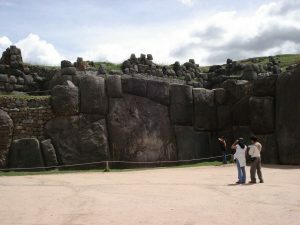 We organize all travel logistics within Peru, but there will be no tour leader during this tour. 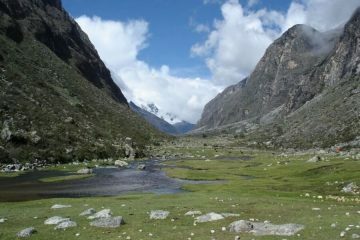 It is all up to you to decide if you want to spend more time alone, with your fellow travelers, or with the Peruvians. Visit Peru and learn more about its history and culture while you travel together with other solo travelers through spectacular landscapes, in search of the vicuñas and condors. This tour has it all, but without being too busy! 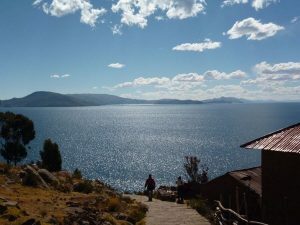 Highlights of our tour include: an excursion to Islas Ballestas, sleeping in the oasis of Huacachina, a tour into the Colca Cañon, visiting the islands in Lake Titicaca, a Sacred Valley Tour near Cusco and of course a guided visit to Machu Picchu. To lower the costs and make the tour more authentic you will travel the long distances with comfortable public transport. This way you are not just a spectator behind a window, but you temporarily become part of daily Peruvian life. 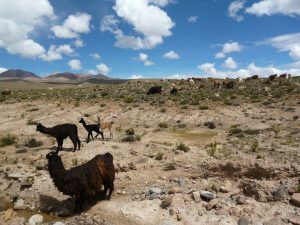 Day 15: Cuzco – Lima – End of tour. Note: The start date for the first tour is Saturday the 25th of May 2019! 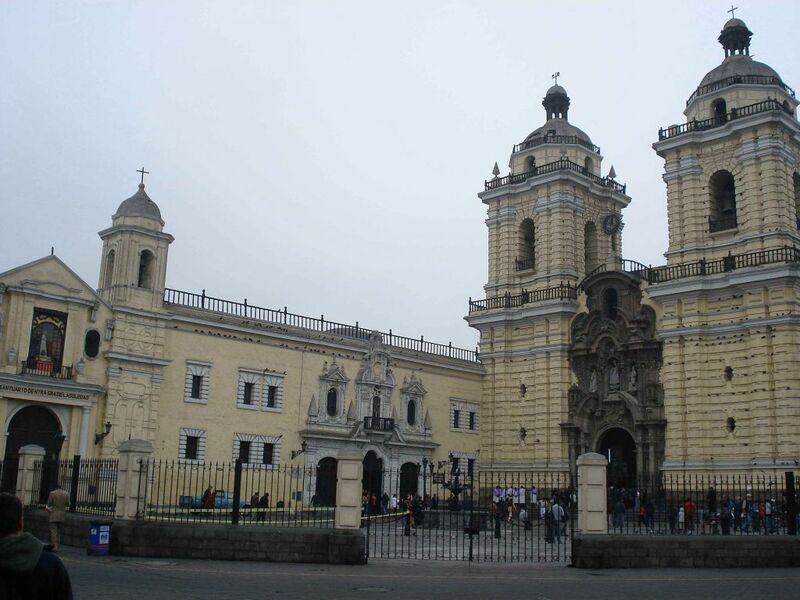 Lima is the capital of Peru and has more than 10 million inhabitants. Despite this huge amount of citizens and the busy traffic, it is still recommendable to visit the impressive colonial city center. 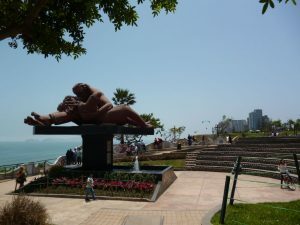 Some of the beautiful highlights in Lima include: the Plaza de Armas, Plaza San Martin, the impressive San Francisco monastery with colonial style catacombs, the interesting Larco Museum about the Moche culture, Parque del Amor on the coast and in the evening the spectacular lightshow of Parque del Agua! A busy day full of variation! You leave today very early by comfortable public bus to the harbor of Paracas. 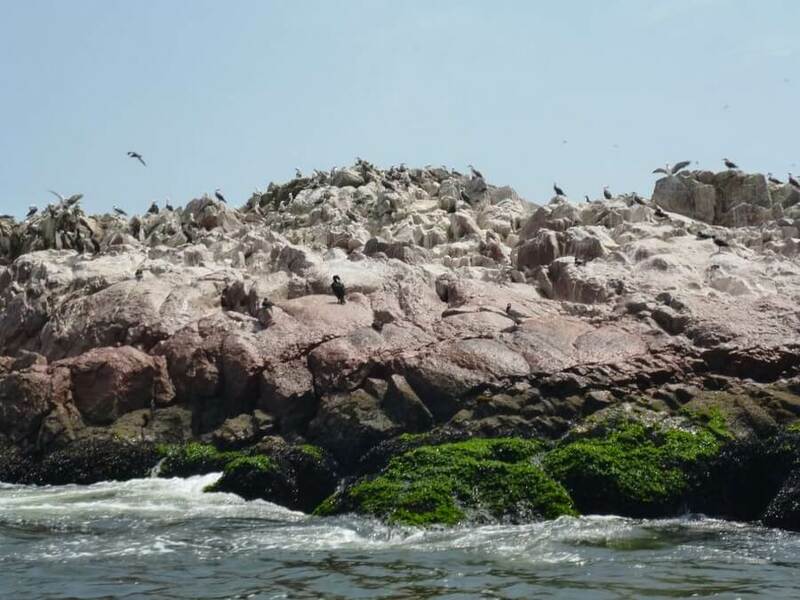 At 8:00 am you will join a two hour boat-tour around the Ballestas Islands, during which you can observe many birds and sea lions and maybe even some penguins and dolphins. Some people even refer to these ‘arch’ islands as ‘Little Galapagos’. After the Ballestas Islands tour you will travel with private transport from Paracas to your hotel in Huacachina. 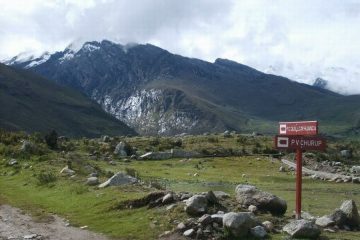 Along the way you will visit a special winery where they grow grapes and make Pisco, the famous National drink of Peru. Of course you will be able to taste some of the best Pisco of Peru! 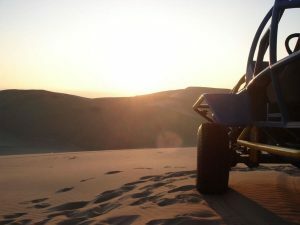 After arriving in the Oasis of Huacachina you can choose to relax and/or join a spectacular ‘Sunset Buggy Tour’ over the sand dunes around Huacachina, an adventures ending of an interesting second day in Peru! In about two and a half hour you will travel from Huacachina to Nasca, famous for the presence of the mysterious Nazca-lines. There are still many theories about why and how these lines were drew in the dessert, but most likely the real answer will always stay a mystery. 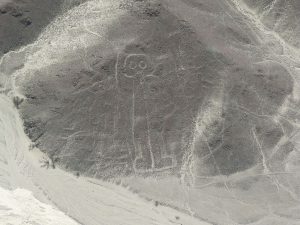 Depending on the weather conditions it is an optional excursion to fly early, or late in the afternoon over the Nazca-lines. Under normal circumstances there will also be time left to visit the unique cemetery of Chauchilla, where century old, but well preserved mummies and skeletons look up at you from their holes in the desert ground. 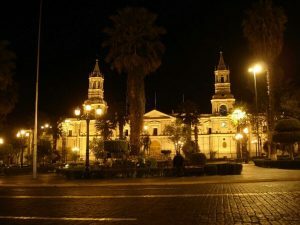 Tonight around 22:00h you will take a comfortable public bus towards Arequipa. After arriving in Arequipa around 7:30 am you have a free day to discover Arequipa and start acclimatizing to the higher altitude (2350 m). 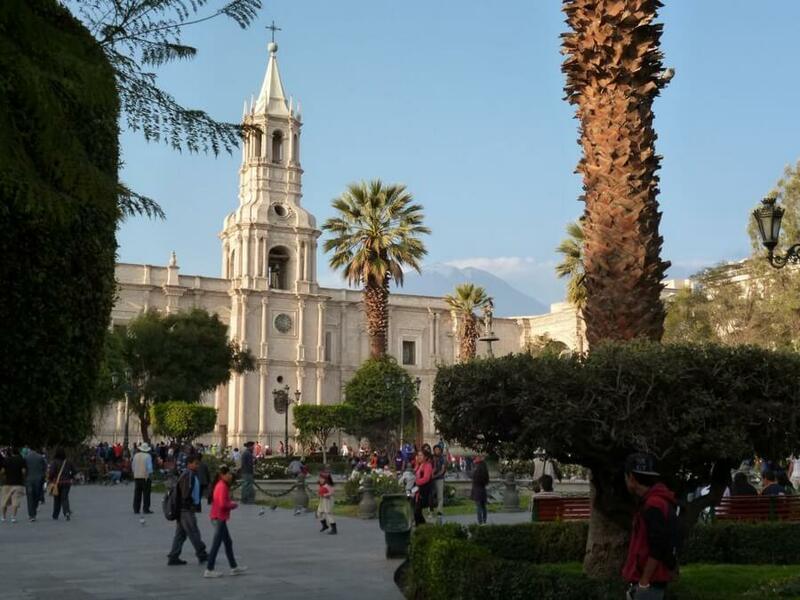 Arequipa is also called “La Ciudad Blanca”, or The White City, because most of the buildings in the city center were built with stones of volcanic white stones called sillar. Arequipa is surrounded by the impressive volcanoes Pichu Picchu, Misti and Chachani and is considered by many Peruvians as the most beautiful city of Peru. We invite you to discover for yourself if you agree with them. On your second day in Arequipa you can take it easy and enjoy coffee, or lunch with view over Plaza de Armas from one of the surrounding balconies. During your stay in Arequipa we do highly recommend to join a tour through the beautiful and impressive Santa Catalina Convent and to visit the interesting Museo Santuarios Andinos, where you can admire the Juanita Ice Princess. It might also be possible to join a so called ‘Reality Tour’ (depending on availability). 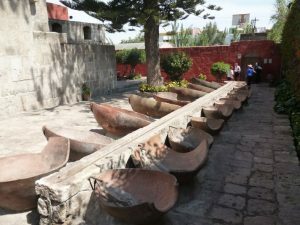 This tour will bring you to less visited places of Arequipa and explains more about the daily life of the people in Arequipa. Together with your fellow solo travelers you will ride from Arequipa over the Andes Mountain Range and into the famous Colca Canyon. The scenic route brings you through two National Parks with beautiful views and a guarantee to see many lamas and alpaca’s. 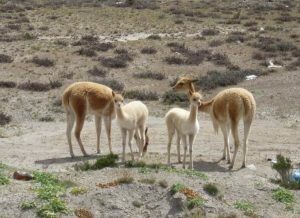 Most likely we will even see some vicuñas. These elegant members of the South American camel family are shyer and are now protected by Peruvian law to preserve them from extinction. 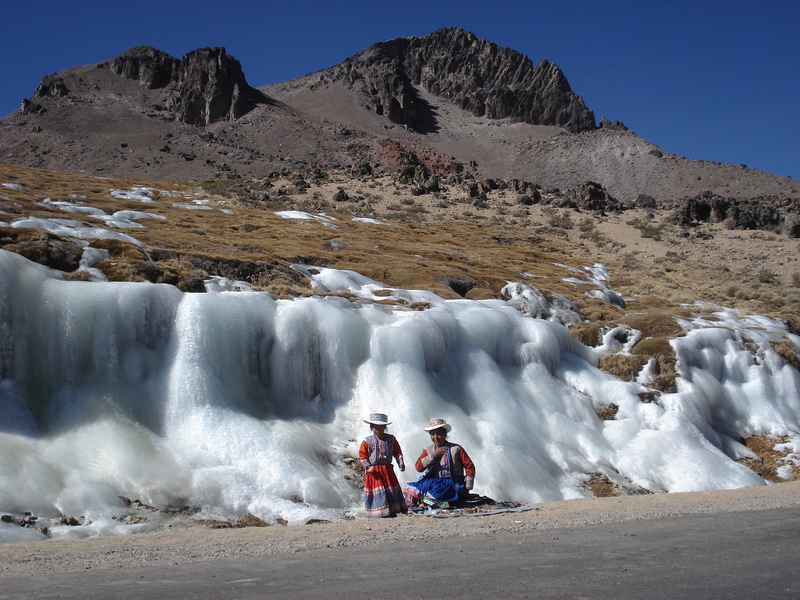 After crossing a high mountain pass at 4900 m altitude, our bus descents towards the village of Chivay (3650 m). You will get free time here to walk around on your own and have lunch on the market or in a local restaurant. After lunch you will be brought to your hotel in Chivay, or one of the surrounding villages. Around sunset you can go optional to the hot springs were the spring water is so hot that it needs to be cooled down before it enters the several small swimming pools. 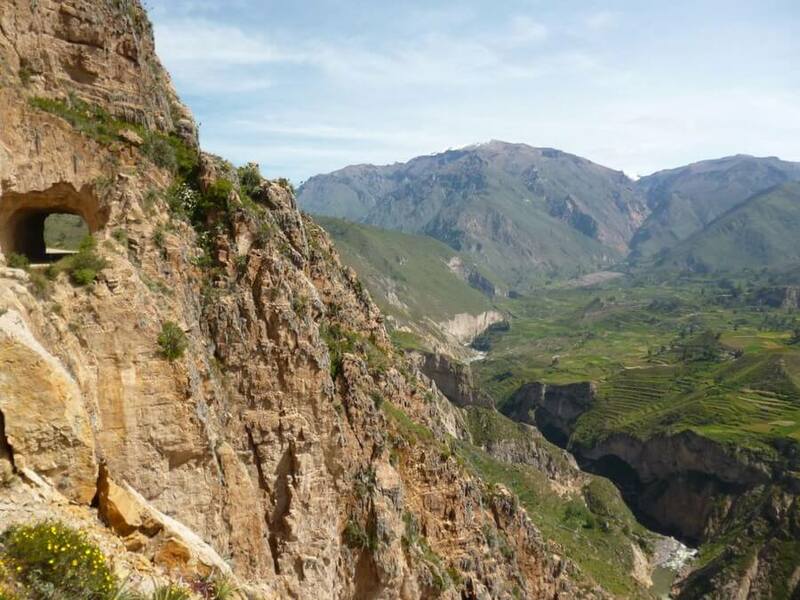 Today you will have to get up early to drive around sunrise along a very scenic route with great views over the impressive pre-Inca terraces and the country side from the Colca Canyon. Your destination is the special condor viewpoint named: “Cruz del Condor”. Depending on the season it is almost a guaranty to see condors ascending from the depth of the canyon where they have their nests. 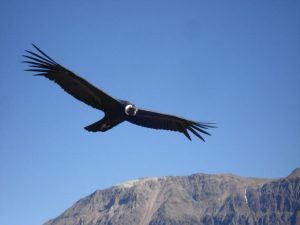 This fact makes that Cruz del Condor draws many tourists, but luckily for us these giant birds don’t seem to be the least disturbed with all this attention. After saying goodbye to the condors, you drive back to Chivay, where you have time to enjoy lunch before traveling the scenic road to Puno. Peruvians see Puno as their musical capital and there are often small parades in the streets. The city of Puno isn’t pretty, but it is the starting port to visit the famous floating reed islands of the Uros Civilization. Today you are free to decide if you want to do this tour with your fellow solo travelers and other international tourists, or just take some time for yourself. 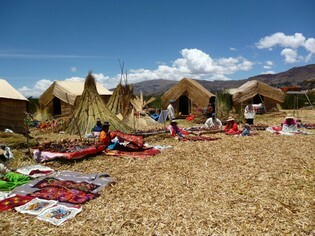 The morning Uros tour can be combined with visiting Taquile Island. On this island the men have to knit hats to ‘conquer’ their wife. A well knitted hat proofs that the future husband isn’t lazy. It is said that some of these woolen hats can even be used to carry water! The third popular excursion goes to the mysterious funerary towers of Sillustani. The Collas who seemed to have contact with the Tiahuanaco culture, build these towers to bury their death. Later the Inca’s adopted these techniques to build their cities. Peruvians A beautiful bus ride brings you today from the Altiplano of Puno into the highlands of Cuzco, the popular Inca and tourist capital of Peru! Our hotel is conveniently in the historical city center of Cuzco, which makes it very easy to go out by yourself and interact with the Cusqueños and other travelers. For the solo travelers who want to participate we organize this morning a special cultural excursion, where we combine Spanish lessons with visiting a local market. This is a great way to learn more about the local food and Peruvian culture in general. For the afternoon we highly recommend that you take a stroll through the small and steep streets of Cuzco where you can admire the fusion of ancient Inca architecture and Colonial Spanish architecture! For tonight we recommend to check out the many restaurants in Cuzco, have a drink and get a feeling for Cuzcos exciting nightlife! 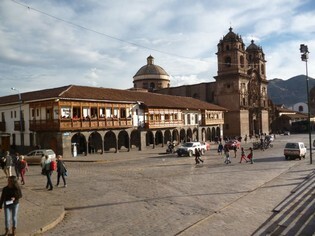 This is a great day to explore Cuzco and surrounding alone, or with your travel companions. 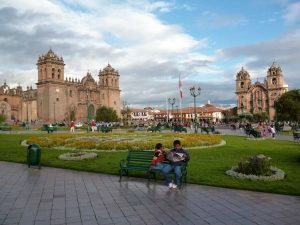 The many historical sites, museums and bars in Cuzco will keep even the most experienced solo traveler busy. Extra tips for solo female travelers. Some of the highlights we can recommend to visit include: the impressive cathedral, the Quricancha (Temple of the Sun), the Inca Museum and Museo Pre-Columbino. 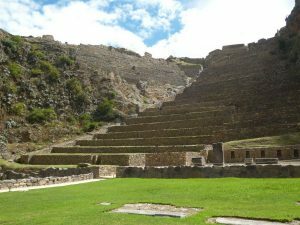 If you want to visit more archeological Inca sites and like to walk a bit, we can recommend to take a taxi to Tambo Machay and then walk back to Cusco. Along the way you will be able to enjoy scenic country side landscapes combined with visiting the interesting archeological sites of Pucara, Quenko and Sacsayhuaman. Because we believe that you can’t travel to Cuzco and Machu Picchu, without visiting the Sacred Valley of the Incas we have included a beautiful private tour through this Valley. 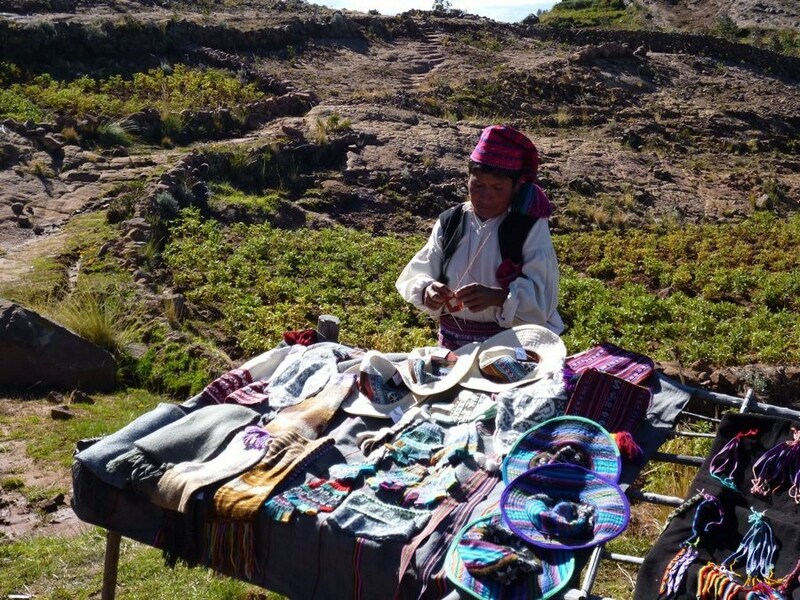 Your Sacred Valley Tour starts with visiting the huge archeological site of Pisac. Passing along the impressive ruins build on a hill, your guide will explain more about the interesting Inca history. Besides learning more about the Incas you can also enjoy the great views over the Sacred Valley. On the way to the village of Ollantaytambo, you will bring a visit to Salineras. 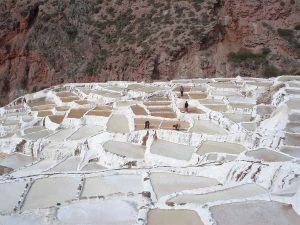 This is a pre-Inca salt winning place from the Maras culture. Hundreds of years ago the Maras started to collect the water from a mountain spring in small shallow pools. The sun would dry the water and what was left was salt. Even now this system is still working and the white ‘salt pans’ provide a great view in the green valley. 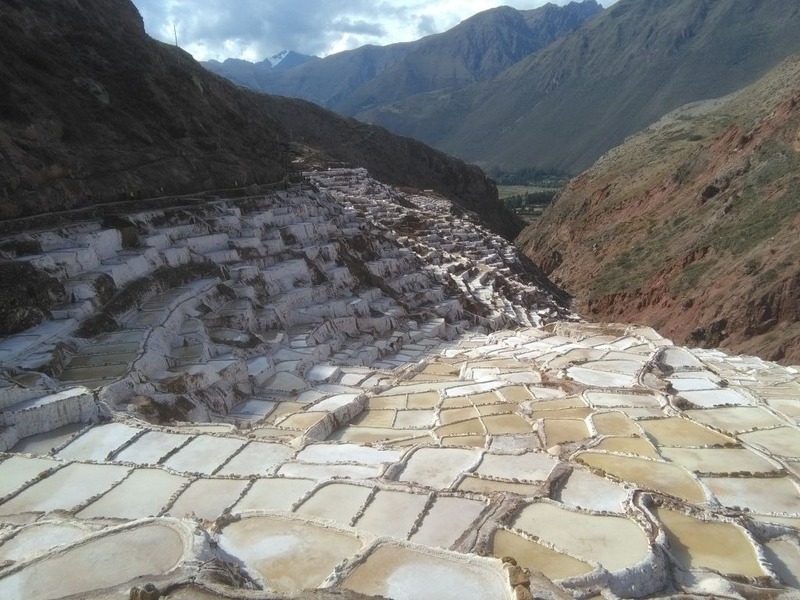 From the Salineras salt pans you drive further towards the village of Ollantaytambo. After a short walk through the village, your guide will lead you around over the ancient Inca fortress next to the village. The fortress of Ollantaytambo is one of the very few places where the Inca’s won a big battle against the Spanish conquistadors. Those who booked the famous Classic 4-days Inca Trail, will stay tonight in Ollantaytambo, so tomorrow they don’t have to get up as early as their companions who depart from Cuzco. The first busses from Aguas Calientes to Machu Picchu (8 km) depart at 5:30 am, but you can also decide to start walking at 4:00 am and be one of the first to arrive at the entrance gate to Machu Picchu, which opens at 6:00 am. After a guided tour of around 3 hours, you will (still) have the rest of the morning to explore the impressive archaeological site by yourself and try to get a feeling of how it must have been to work and live here while Machu Picchu was still a busy Inca town! Although the site of Machu Picchu is famous, it is also still covered with mysteries about its original purpose, how the Inca’s could build this town on and between the mountain tops and even about its original name! 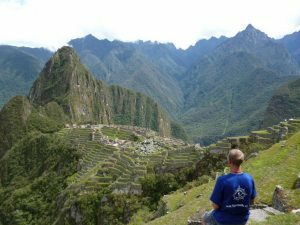 More information about Machu Picchu and the new (2018) visitor regulations you can read: here. 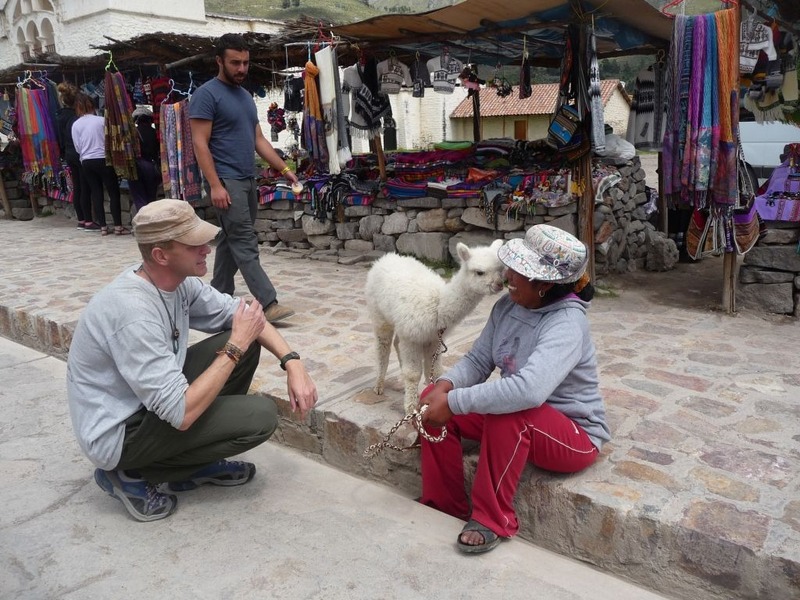 Your train and bus back to Ollantaytambo and Cuzco depart late afternoon to give you enough time to relax and have lunch in the tropical tourist town of Aguas Calientes. 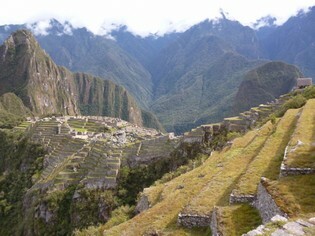 Note: please let us know already with your booking if you want to climb the Huayna Picchu, or Machu Picchu Mountain. This is a good day to relax and enjoy a cup of coffee or tea on one of the balconies around Plaza del Armas. 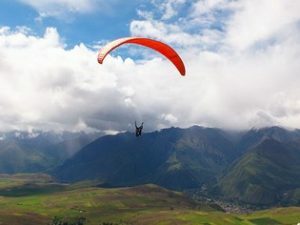 For those who want to be more active, Cuzco offers many adventures excursions, including: rafting tours, horseback riding, mountain biking, bungee jumping, or even parapenting over the mountains around Cuzco. Another option for today is a tough but beautiful tour in shared international service with other solo travelers to the so called Montañas del Arco Iris (Rainbow Mountains). Today we have scheduled in the tour an early flight back to Lima is, but this itinerary can easily be changed for passengers who want to stay longer in Cuzco. Please do inform us already with your booking if you want to stay longer. 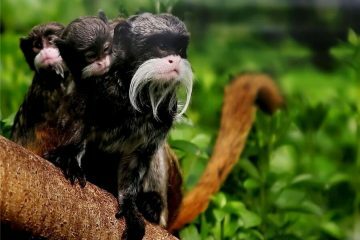 Or you can check our special website with tours into the Amazone: Amazon Rainforest Tours. 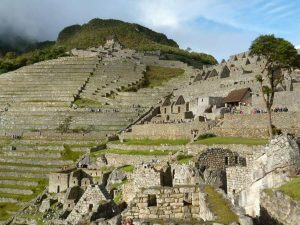 – Entrance fee to Machu Picchu + guided tour, please be informed that you already have to decide with the booking of your tour if you want to climb up Huyana Picchu, or Machu Picchu mountain (15 US$ additional fee). 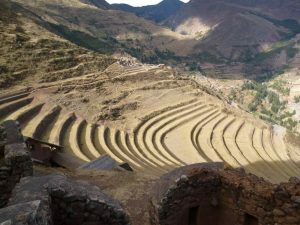 – day 12: Sacred Valley Tour in private services, including transport, guide and entrance fees worth USD 26 per person.